South Africa offers many great accommodation options for visitors- from hotels, to backpackers to camping and B&B’s but what about those in search of something a little different. Fancy sleeping in a treehouse, tenting in a teepee or even snoozing in a oxwagon? 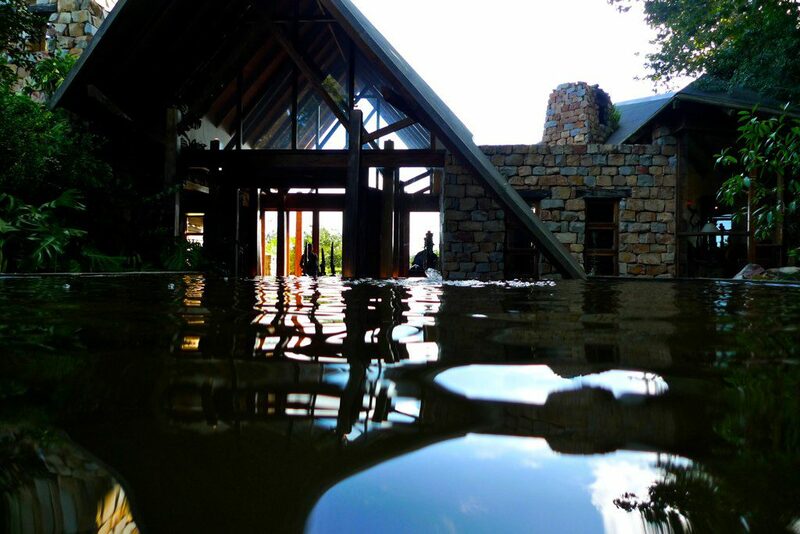 Here are a few ideas of quirky and fresh places to stay when visiting South Africa. The Grand Daddy Hotel in Cape Town is located in the heart of The Mother City in Long Street. Seven American vintage Airstream trailers sit on the rooftop of this quirky hotel each with a unique design created by local artists that showcase different places and aspects of South Africa. Each trailer comes with all the bells and whistles; a queen size bed, water closet, bar fridge, aircon and tv. This is the perfect choice for those looking to explore the city but still looking to experience something a little different. Have a real life Flinstone experience at the Kagga Kamma Nature Reserve, nestled in the Cedarberg Mountains far away from the city rush. 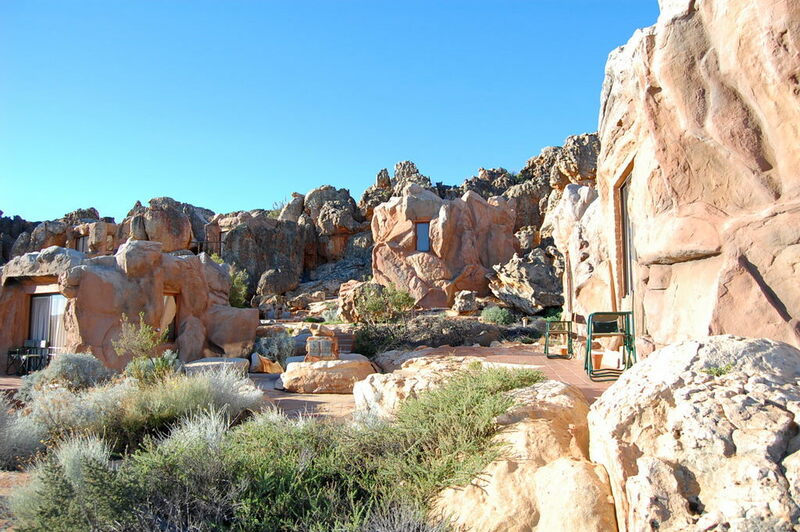 This nature reserve has taken blending into its surroundings to a whole new level by constructing their rooms in a way that they form a part of the natural sandstone rock formations. In addition to this Kagga Kamma also offers open-air rooms where you and your partner can spend the night under the starlit skies. It really is a one of a kind experience and perfect for a romantic getaway. Photo Credit: Jason Bagley- Flickr. Tsala Treetop Lodge is situated between Knysna and Plettenberg Bay serving as the perfect base to explore the beautiful Garden Route. Tsala offers treetop suites or 2-bedroomed villas high above the forest floor where you can fully immerse yourself in nature. These luxurious rooms cater for all your needs and more, infinity pools out on the deck mean you can relax in the heart of nature while up in a truly magical world. Enjoy sweeping views of the forest fireside for those chilly nights and soak up the peaceful seclusion. Photo Credit: Matt Cunningham- Flickr. Santos Express in Mossel Bay offers backpacker style accommodation in a truly one of a kind way. 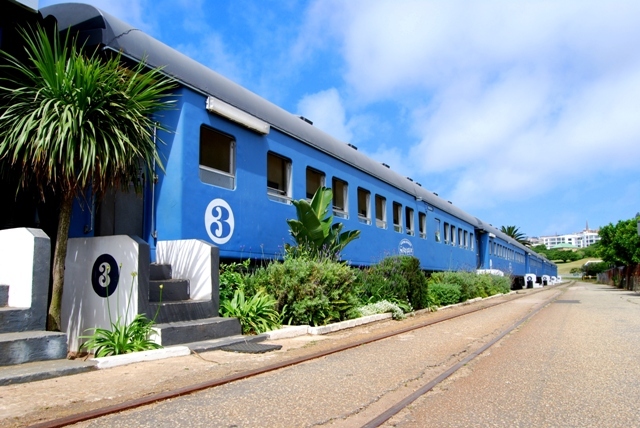 This stationery genuine restored train is situated just 30m from the beach so you can wake up to spectacular views and roll out of bed onto the beach. The Fork and Train Restaurant is a popular option and is known for its delicious seafood. 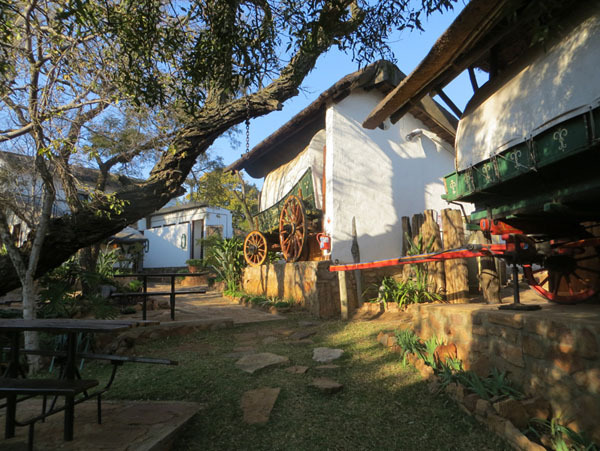 Die Ring Oxwagon Lodge next to the Hartbeespoort Dam will take you back in time to the days of the Voortrekkers with their restored Ox-wagons from way back when the Afrikaners of South Africa made their big trek across South Africa. Each oxwagon is simple and very cosy with the main bedrooms in the actual oxwagon and an attached chalet that has an extra bedroom, bathroom and lounge. For a real South African experience you can even join in the “Trekker Braai” for a truly South African style dinner. For a slightly less South African experience that is just as exciting you can stay in a Native American style tepee tent at Lydenrust Guest farm, Mpumalanga. Situated along a river and in complete privacy here you can unwind in a beautiful setting and have a whole new camping experience. The farm has no electricity but there is solar power for lamps and charging and even an outdoor shower for a true bush experience.